Through My Eyes: Like Travel. Working in the travel industry is like being mean to yourself and at the same time, you make someone else happy. So, you are happy and miserable the same time. There are so many places that I want to visit that suddenly makes ka-ching ka-ching looks so unreachable. And especially with all these promotions happening. One more month to decide for next year's holiday. Oh and also if you want to know what kind of promotions are happening now, LIKE us at 'Holiday Tours & Travel Penang' and you will be surprised how affordable it is to travel now! 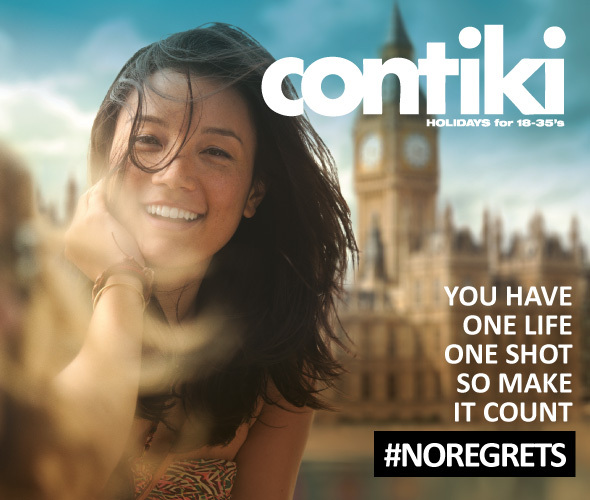 My favorite brand has gotta be Contiki. Holidays for 18-35's! VERY VERY AFFORDABLE! Now, I should go back to work hard to save those moolah.